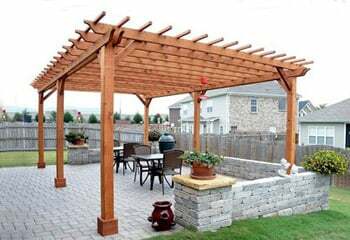 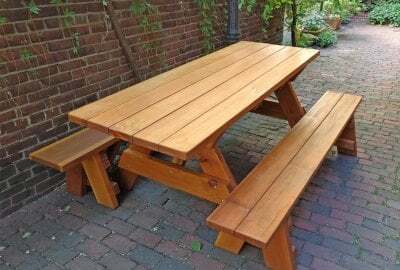 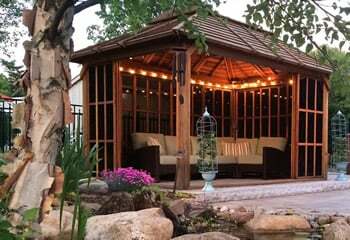 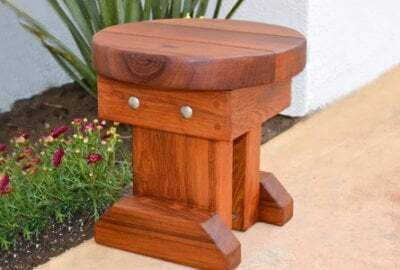 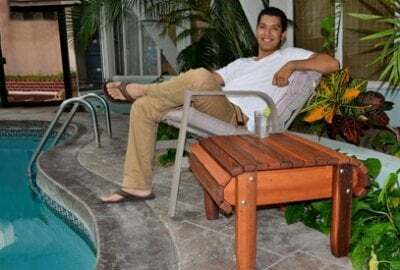 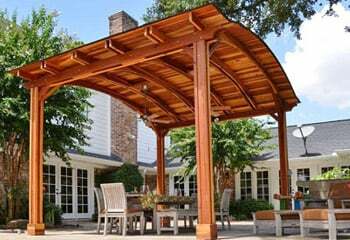 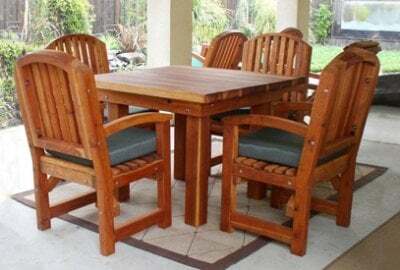 When people see our custom-made Outdoor Redwood Tables and Patio Furniture, they immediately see the care, quality, and expert design that we put into creating each and every one of them. 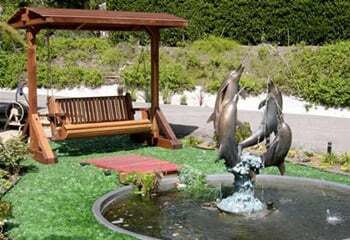 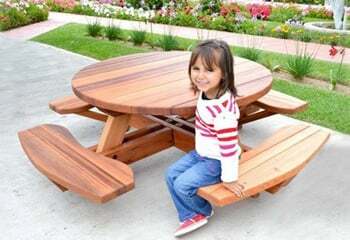 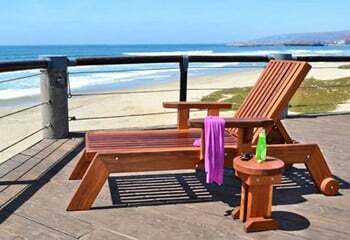 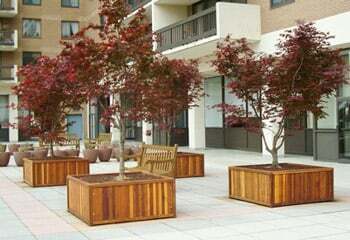 Our Redwood Patio Furniture is second to none and when it comes to tables, we truly have something for everyone. 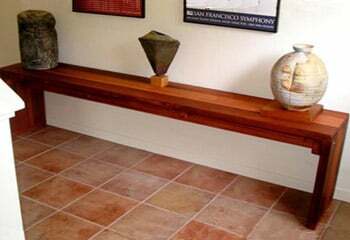 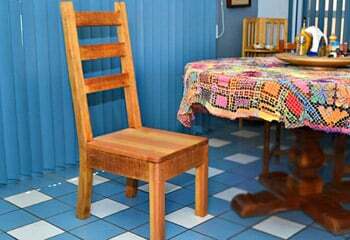 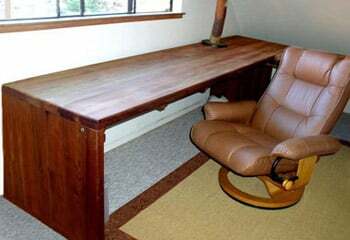 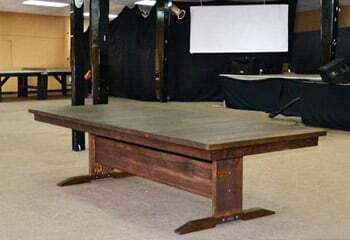 We have a variety of durable, multi-purpose wooden tables that can be customized to fit your needs, and hand-made by us to last a lifetime. 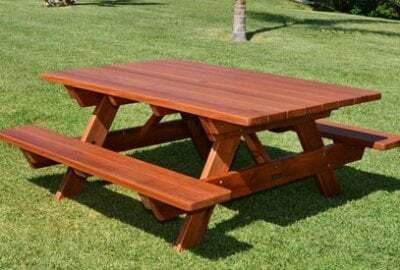 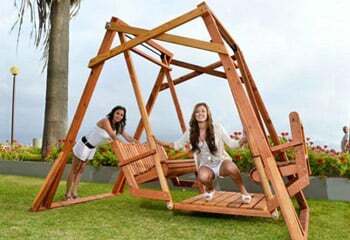 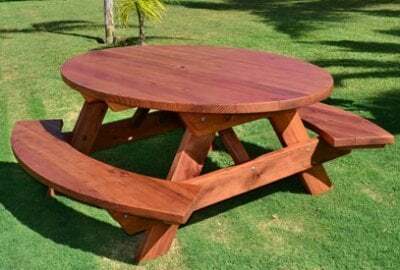 Whether it's the Forever Picnic Table, Round Wooden Picnic Table, Octagon Picnic Table, Oval Picnic Table, or Heritage Large Wooden Picnic Table, each one is built to last you and your family a generation. 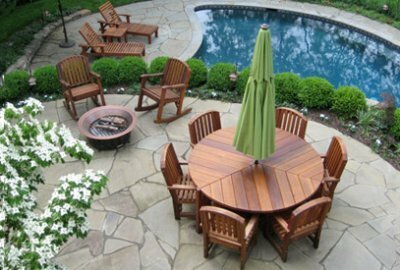 Our styles and prices vary to meet the demands of nearly every type of outdoor space, and even in bad weather, these tables won't warp, rot, or crack. 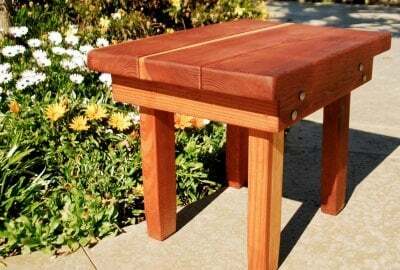 Elegant, overbuilt solid wood tables crafted to last. 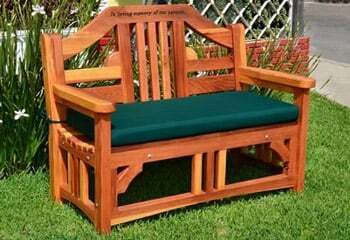 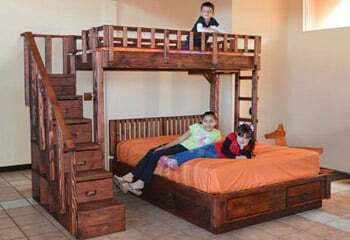 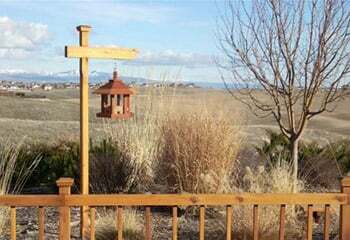 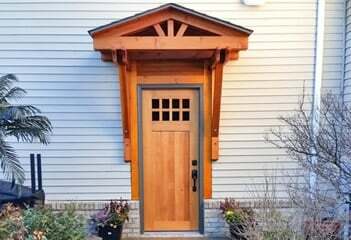 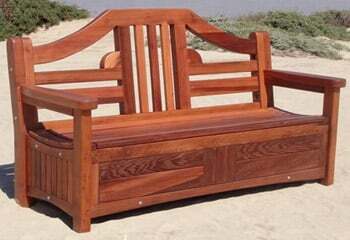 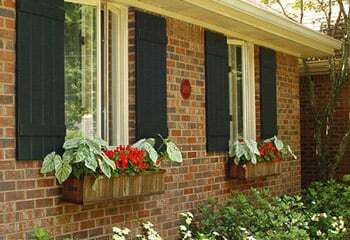 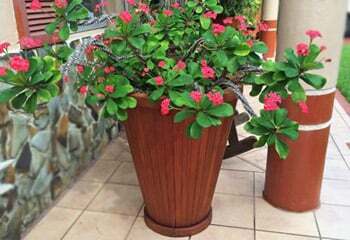 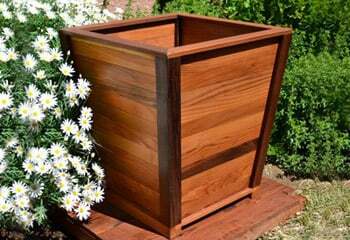 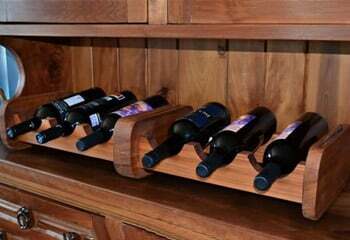 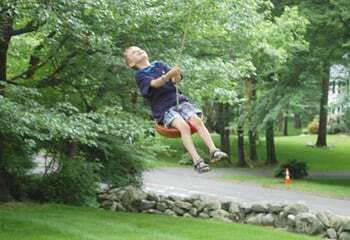 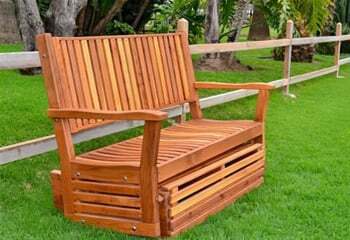 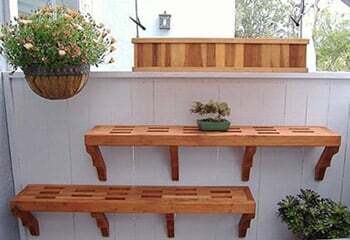 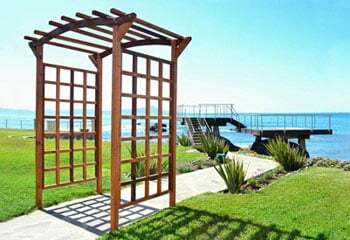 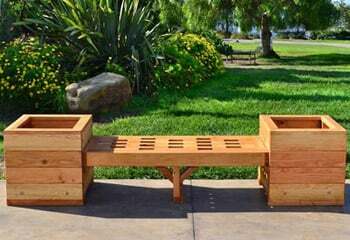 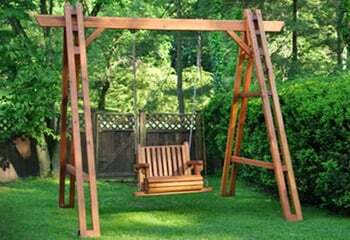 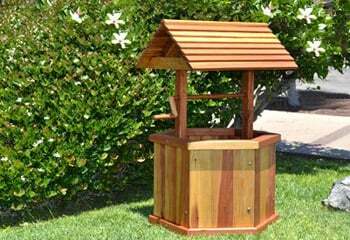 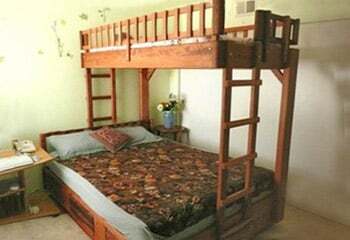 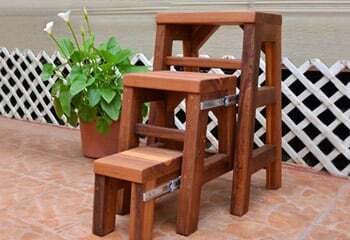 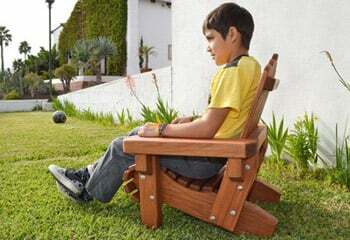 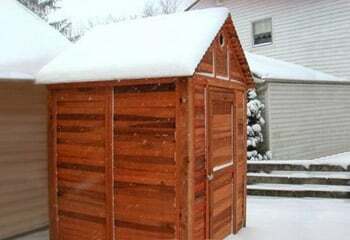 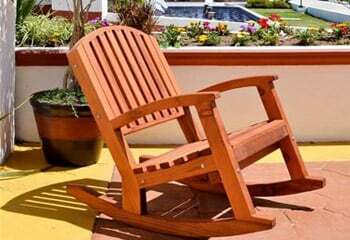 Each is carefully made to your specifications and will complement any indoor/outdoor setting. 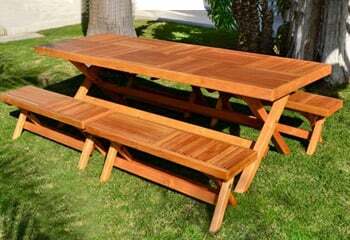 Their beauty and durability is perfect for meals with friends or family for decades to come. 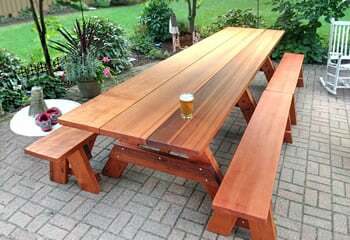 The Ultimate BBQ Table is a handsome stout fellow. 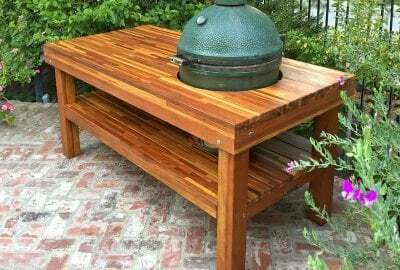 He holds your grill at just the right height and will serve as a faithful cooking assistant too. 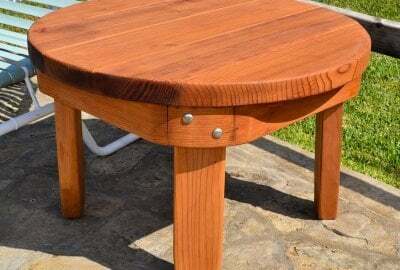 Our solid, country style Baja Table is built from 2" thick planks of weather resistant Redwood, hand crafted to last for decades virtually maintenance free. 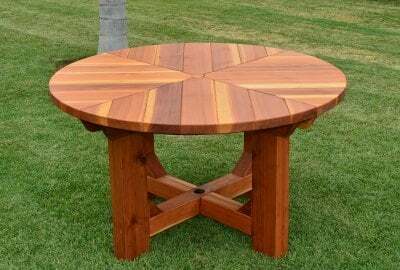 Our Beautiful Round Patio Table in naturally weather resistant Redwood is quality crafted for durability. 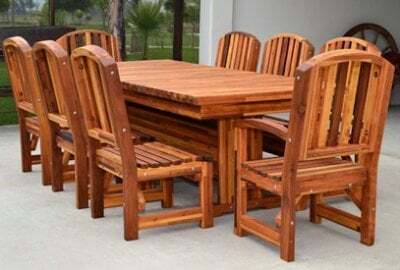 Perfect for decades of outdoor dining on your patio with friends and family. 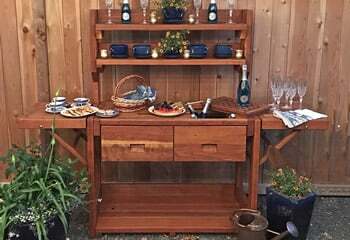 Our Lisa's table is modeled off a 1950s table in Sunset Magazine. 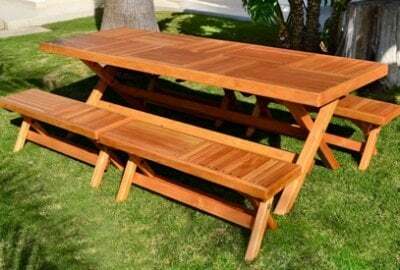 Its thick planked, retro design has made a welcomed comeback, ready to add some spice to your garden parties and evening dinners. 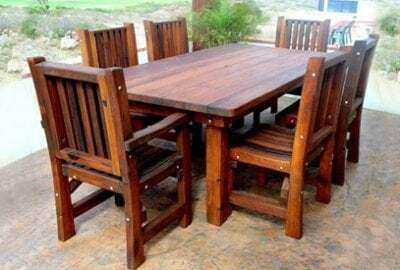 Elegant and Overbuilt - The perfect combination for a table set to last a lifetime. 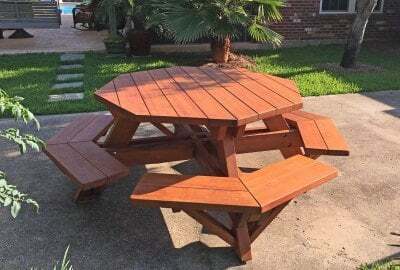 Our Square Patio Table in naturally weather resistant Redwood is quality crafted for durability and strength - ready to support decades of game nights and family dinners. 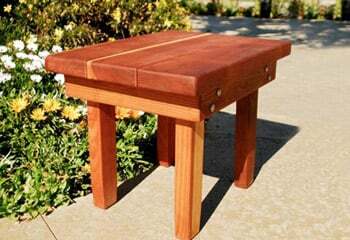 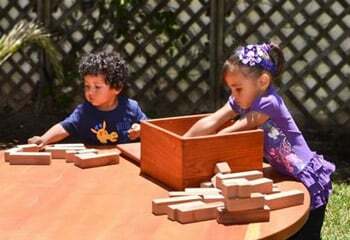 Our Rectangular Folding Table comes with two table top designs (checkerboard or boards laid in the same direction). 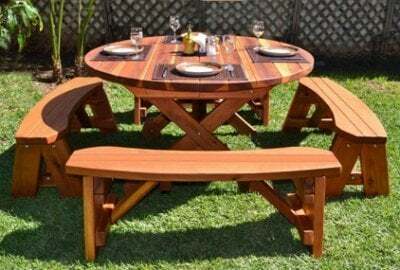 Its beautiful composition is the perfect base for your entertaining with friends. 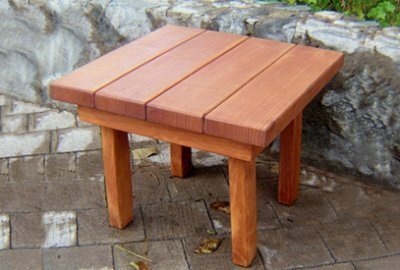 Built from finely finished, weather resistant Redwood, these long life tables have fold-up legs for quick transport or space saving storage. 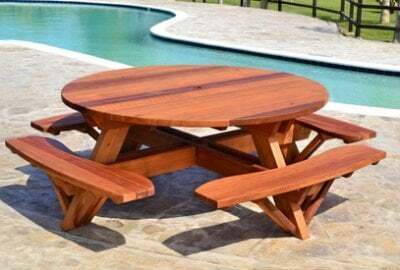 The Sunset Patio Table is a gorgeous all wood round patio table. 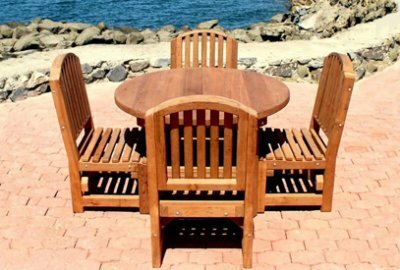 Its thick planked retro design can be made in any diameter you like and shipped with just about any seating arrangement you can think of.